This time on Main Street, we look to another one of Walt’s children: Sharon Lund-his only daughter. Bear with me as there is not much information on the internet about the Lunds. They’ve stayed, for the most part, out of the public eye. On December 21, 1936 (the winter solstice), Sharon Mae was born. To whom, no one really knows (the Disney’s tried to keep it a secret from the press), but she was adopted by Walter and Lillian Disney in January of 1937 (because Lillian had several miscarriages before and after Diane Disney‘s birth, they decided to adopt). The only people who knew of Sharon’s origins were family and friends as Walt and Lillian didn’t want her to be treated differently from Diane by the outside world. When Sharon was 22 years old, she married Robert Borgfeldt Brown and had one daughter with him (Victoria Brown). When Brown died on September 14, 1967 (from lung cancer), Disney spent a few years mourning his death before marrying William S. Lund and having two children with him (Brad and Michelle Lund). Sharon died on February 16, 1993 from lung cancer. After her death, $11 million dollars from her trust were donated to the California School of Performing Arts which created the Sharon D. Lund School of Dance. At age 36, Victoria died from health complications. Her trust continues to give back throug the Victoria Lund Foundation which donates to the Southwest College of Naturopathic Medicine’s Healthy Kids program at Arthur M. Hamilton Elementary School, the Boys and Girls Club of Phoenix and The Parkinson’s Disease Foundation. 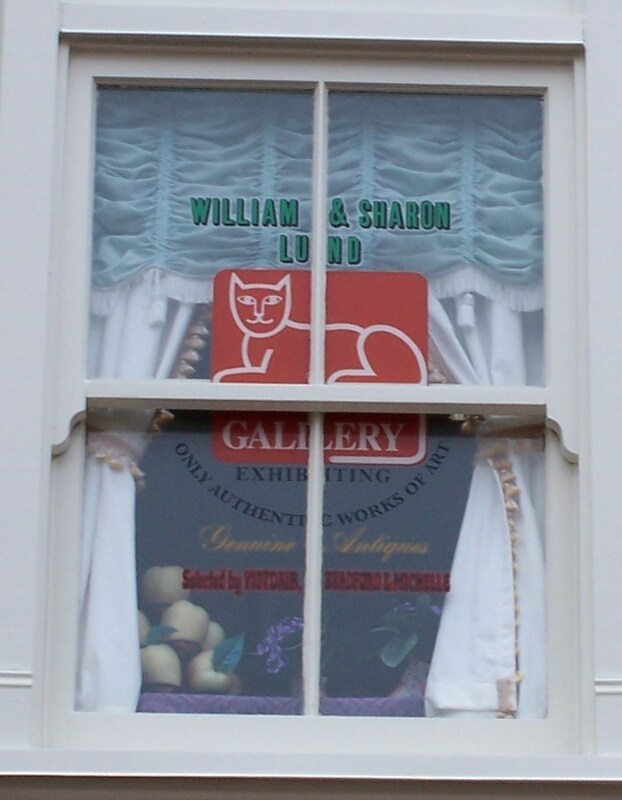 After his wife died, William has spent his time occupied with his company (W.S.L. Associates) where he works as a construction consultant (he also served as President of CalArts from 1972-1975 after being hired as a consultant for the Florida Project). P.S. Thank you to Lou Mongello for providing me with a picture of this window. William S. Lund left Sharon when the twins were four or five years old and went on to marry three other women after that, he is now on his fifth wife. Yes, and he is very happy with number 5. You sound bitter, were you number 1,2,3 or 4? WSL is on his fifth wife now. Victory which was Sharon and Ron Bown’s child and William adopted. Ron Brown passed away and Sharon went on to marry Bill several years later. They had twins together. William left her when the twins were about 4 or 5 years old. He is now on his fifth wife, Sharon was his second wife. I guess you can say he has been a busy man. All that has been said about WSL is true, but Sharon’s fist husband’s name was Bob not Ron. He is on his fifth wife and finally got it right. He and Sharon were best friends up until her death and loved the kids very much. Bill has always been a wonderful father to all of his children. His fifth wife made the family a family after all the years. He and his wife are very good people. William Lund and Sharon were best of friends right up to the moment she passed away. To judge someone on how many times thay are married is foolish. I would think a person who does not stay in a bad marriage is smarter than one that stays. I personally know William and he is one of the kindest, most honorable men I have ever known. He loves all of his children, even those who have tried to destroy him and broken his heart. Walt’s only daughter? Later Diane is mentioned, so why is Sharon spoken of a an “only daughter”? Should this opening sentence not be corrected? Sharon was Walt’s only adopted daughter and Dine was the only biological daughter. The word “only” may have been referring to those specifics. How did William Lund and Sharon meet? Wasn’t William Lund the advance man for Disney and his Floridia Project? Also, on an a seperate topic… why did Walts wife get remarried so shortly after Walt’s passing? I always wondered about that.